There are a ton of great offset smokers on the market these days, each with different features and attributes, at a range of prices. We’ve picked five of the best offset smokers out there and taken a look at each of their features to help you decide which one would be best for you. If you’re looking to buy your first offset smoker, you’re going to want something that is within your budget and has the features you want. Well, not if you don’t know what features you will need. The last thing anybody wants is to spend a lot of money on a smoker and find out that the things they thought they would need are ultimately useless to them. Here’s what to look out for when choosing your smoker. What should I look for in a new offset smoker? There are several things you need to bear in mind if you’re looking to buy a smoker. Price is of course a concern, so we’ve chosen a few smokers in different price brackets. On average you’re looking at around $500, though there are a few good quality smokers you can find for less than that if your budget won’t stretch that far. A good smoker should be made of durable material, be easy to use, and give a consistent cook with a great flavor — at a minimum. The foremost concern is of quality. You need to be sure that if you’re laying out cash for a smoker that it is built to last. It’s not necessarily a sliding scale that coincides with price: there are some great budget smokers, and also some poor quality expensive ones that are a huge waste of money. So to make sure you get the most bang for your buck, make quality your primary concern and cost second. After quality, this should be of utmost importance — what’s the point in buying a smoker that turns out bland tasting meats? Of course, even with identical smokers, the flavor of the food is influenced greatly by the type of wood chips or pellets you use as fuel so make sure you get a good quality one. 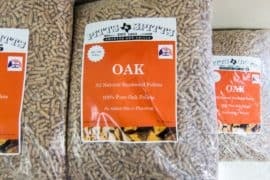 Many of the smokers we looked at came with some wood chips as part of the initial price. How much meat do you want to cook at once? Smoking and barbecuing takes a long time, so it often won’t be possible to cook in batches. If you’re partying with friends and family a lot over the summer you’ll need a large cook space to make sure no-one goes hungry. If it’s just you and one or two buddies, you could end up with a lot of wasted space — but if you choose a smaller smoker, it might be difficult to cope with that unexpected gathering when a lot more folks show up than you thought. Think about the size of smoker you want, and also whether you want it to be able to do other things like sear or grill alongside. You should look for a smoker that is easy to use and care for. Some smokers need a lot of modification, and if you’re a first timer or want a smoker you can use right out of the box, then these are best avoided if possible. Of course, if you want to mod your smoker to personalize or improve it, there are some great base models you can buy that will go from good to great with a few tweaks. Either way, your smoker needs to be easy to clean, and not make the process of smoking any more complicated than it has to be. Many of our favorites had a set-and-let feature, meaning you can throw your rack of ribs in the smoke box and leave them to cook while you get on with partying. No, we don’t mean the meat. Though this isn’t a consideration for buying, seasoning a smoker is still something first-timers might overlook. 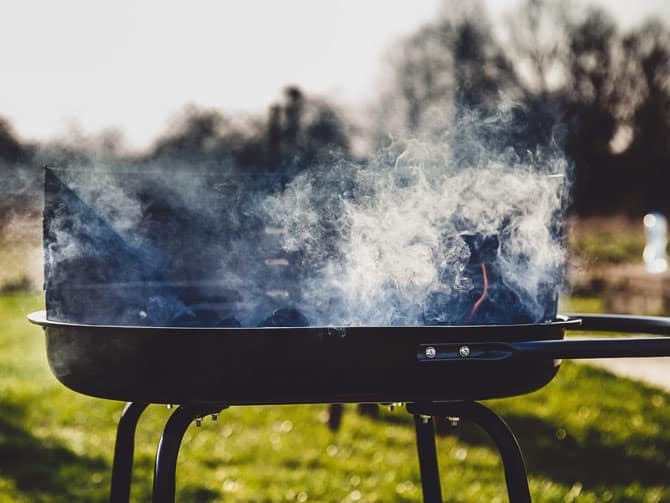 Even the best quality smoker needs to be seasoned before first use to maximize its useful life, and many first-time smokers aren’t sure how to go about it. Take a look at this video, and make sure you season your new offset smoker before you use it. This will not only give a much better flavor, but will also seal the metal. In addition, it will burn off any contaminants from the manufacturing process or shipping materials. Nobody likes eating styrofoam. So now that you have a good idea of what you might want to consider in an offset smoker, let’s get to the reviews. Take a look and think about the features, and pros and cons of each. This isn’t a comprehensive list by any means, but it should give you a great jumping-off point. We’ve tried to pick the best quality smokers we could find — remember what we said earlier about looking for quality first, and price second? The following list proves that you don’t always have to spend a ton of cash to get a great smoker. The Bandera is a great design, based on the tried-and-true New Braunfels Bandera — proving that if it ain’t broke, don’t fix it. As far as price goes this smoker is somewhere in the middle, starting at around $500. It features incredible cook space, with most of that in the smoker. It comes with rib racks and meat hooks included, and four adjustable grates. It’s made of heavy gauge steel which is durable, but makes it more than a little on the heavy side at almost 200lb. Some people have found that it takes a while to put together, and you might need a buddy to help you, but that it’s more than worth the effort. It won’t need much in the way of mods, if anything at all. A few people had issues with the vents not sealing properly, but this is a quick, easy fix if you find it to be a problem. All around a great smoker for the money, and should last several years with good maintenance. Huge cook space – almost 1,000 sq. in. This combination smoker and grill is on the lower side price-wise at around $350, so if you’re really budget conscious then this might be the grill for you. It still has a ton of great features, including a collapsible stainless steel work station, porcelain enameled steel cooking grates, a removable grate and ash pan for easy access to put in fuel and for cleaning. It’s lighter than the Oklahoma Joe, at around 125lb. It’s another combination smoker and grill, and though it does both these things adequately, it’s not the best on the market. 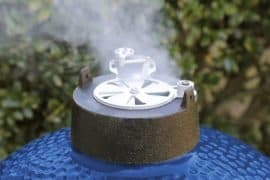 ​All around a good design for the money, and would make a great first smoker for someone who doesn’t have the cash for a more expensive model. This one is a little heftier in the price department but if you can splash out it’s worth every penny. It’s another multitasker, but it does it a lot better than the Dyna-Glo. The propane-run sear box means you can smoke or grill and sear at the same time, and the flavor is incredible. Even though it’s the most expensive smoker on this list, it’s still less than half the price of the similar Traeger smoker — and it does the job much better. If your budget allows it, we would highly recommend this smoker as it’s pretty comprehensive with lots of useful features like the patented Ash Cleanout system, which makes cleaning the grate as easy as pulling a lever. The Z Grills describes itself as having 700 sq. in. cookspace, but it’s actually 684, over two racks. A small complaint, but worth including for accuracy. That said, this is still a great smoker. It has an induction fan for even cooking, and a waste oil collector for easy cleanup. Most people find it really easy to assemble in under an hour, even though it’s fairly weighty. It even comes with the tools you’ll need to put it together! It holds its temperature really well even in breezy conditions, something that not every smoker does. The temperature controls and smoking settings are really useful, too. This is a great, solid smoker that will consistently produce tender meat with a great flavor. Another mid-range price smoker, this features a two-level cooking rack, with up to 429 sq. in. cook space total. It will reach up to 500°F, and has an ash clean out system for easy cleaning. Most people who own this smoker love it, and there are only a couple of complaints. It does tend to leak smoke a little, but users found that even with little smoke the flavor was still great. It also comes with a built-in temperature probe — no more running a wire under the lid! The pellet grill has a trap door for easy cleaning, which as anyone with a pellet grill or smoker knows, makes a huge difference when it comes to cleaning. This smoker is great value for money, and will long outlast its (admittedly poor) one-year warranty. If you want a Camp Chef but can’t stretch to $900, this would be a great alternative. 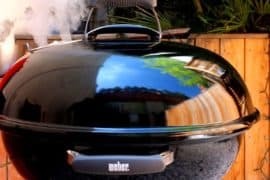 Hopefully this list of the best offset smokers has given you a better idea of the features available in a good offset smoker, and helped you to decide which will be the most useful to you. Try drawing up a wish-list of things you want in a smoker, and use it to help you find one that will do everything you want, for the best price. Good luck, and happy smoking!